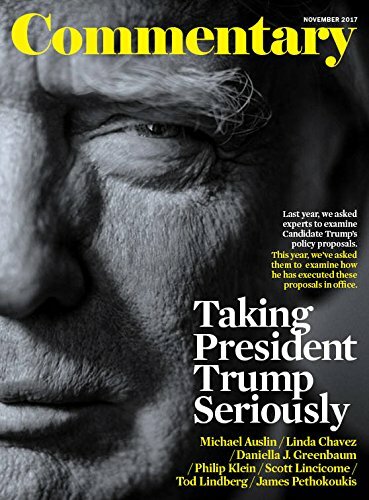 Commentary is America’s premier monthly magazine of opinion and a pivotal voice in American intellectual life. Since its inception in 1945, and increasingly after it emerged as the flagship of neoconservatism in the 1970’s, the magazine has been consistently engaged with several large, interrelated questions: the fate of democracy and of democratic ideas in a world threatened by totalitarian ideologies; the state of American and Western security; the future of the Jews, Judaism, and Jewish culture in Israel, the United States, and around the world; and the preservation of high culture in an age of political correctness and the collapse of critical standards. Many of Commentary’s articles have been controversial, and more than a few have been hugely influential, touchstones for debate and discussion in universities, among policy analysts in and out of government, within the ranks of professionals and community activists of all kinds, and in circles of serious thought worldwide. A large number of articles can be counted as landmarks of American letters and intellectual life. Agree with it or disagree with it, Commentary cannot be ignored. To read it is to take part in the great American discussion. The Kindle Edition of Commentary contains all articles found in the print edition, but will not include all images. For your convenience, issues are auto-delivered wirelessly to your Kindle at the same time the print edition hits the newsstand.